Cody Goodwin sits down for a session with his counselor, Mary Bitterman, at a ReDiscover clinic in Kansas City. “I was mad at my sister at first, boy, you know, she got me locked up. I was upset. But now I look back and it saved my life,” Goodwin says. When he got out, he found a methadone clinic where he could get medication-assisted treatment, but there was a catch that made him leery. If he wanted methadone, he’d have to do talk therapy as well. Federal treatment guidelines say that drugs to treat opioid use disorder should be used in conjunction with drug counseling. But many people seeking treatment have to wait to get it because of a shortage of counselors to meet the demand. Over the past few years, there’s been growing agreement that medication-assisted treatment is the best way to kick opioids. But Marsha Page White, clinical director of substance use disorder services at ReDiscover, a nonprofit community mental health center in Kansas City, says medications like methadone and buprenorphine only treat the physical side of addition. That’s because therapy is needed to address the changes in thinking that occur when someone goes through addiction. And there may be underlying mental health issues as well. People often use opioids to self-medicate, for example, or to help deal with trauma. White says that drug counseling is an especially difficult line of work because of the peculiar challenges posed by addiction. White says ReDiscover has had counselor positions open for months, and that’s affected its ability to help people. It currently has a list of around 55 people waiting to get into treatment. Although substance abuse programs have suffered from public funding cuts for years, David Patterson Silver Wolf, an associate professor at Washington University’s Brown School of Social Work in St. Louis, says the system has reached a breaking point. “With this opioid use disorder, things are occurring that have never happened before in the treatment industry. People are actually OD’ing in the waiting room. Patients are OD’ing in the bathroom,” Patterson Silver Wolf says. Combine wages that average around $40,000 a year nationally with the difficulty of the work and little professional support, and drug treatment counseling is not a job many people want to go into or stick with. Lots of federal and state dollars have poured into opioid treatment in recent years, but Patterson Silver Wolf says temporary budget increases or big one-time grants aren’t enough for the long-term transformation that’s needed. “There needs to be some stability. Just like any business. It’s hard to think way out. Can we really invest? Are these monies going to be around in a year or two?” Patterson Silver Wolf says. Cody Goodwin continues to meet with his counselor, Mary Bitterman, on a regular basis, but his recovery has shifted from fighting constant cravings and withdrawal to bigger-picture rethinking of his life and future. Goodwin marks his second year free of drug this week, and he says that, despite his initial skepticism about it, talk therapy has made all the difference. 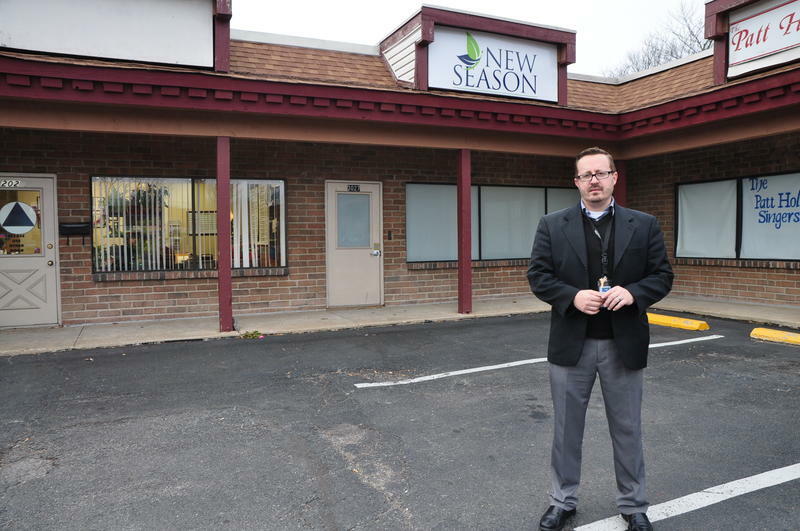 A locked storefront for an opioid treatment clinic in a St. Charles strip mall sits between a bar and a meeting space for Alcoholics Anonymous. A sign outside reads “New Season.” But the project is on hold, after objections from local residents. 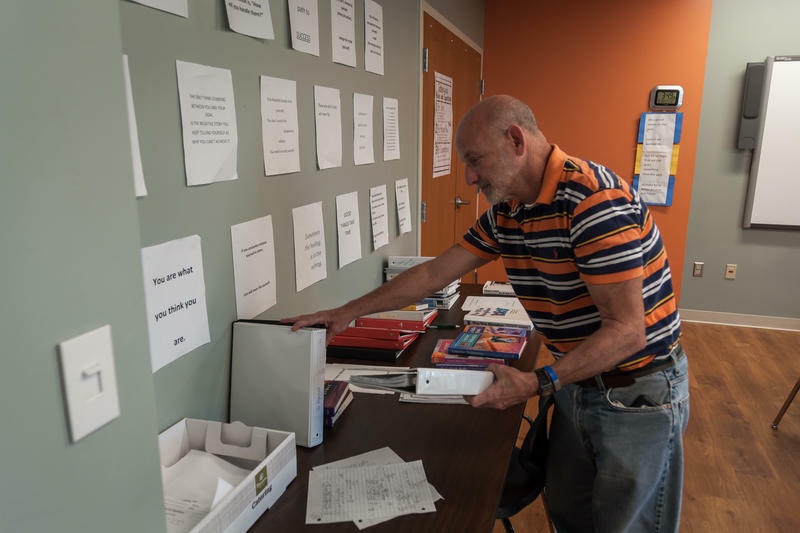 When he heard about the plans, Meinhardt started gathering signatures for a petition asking the clinic, which would serve 350 patients, to choose another location. Missouri plans to use a new $10 million federal grant to improve access to opioid addiction medication. 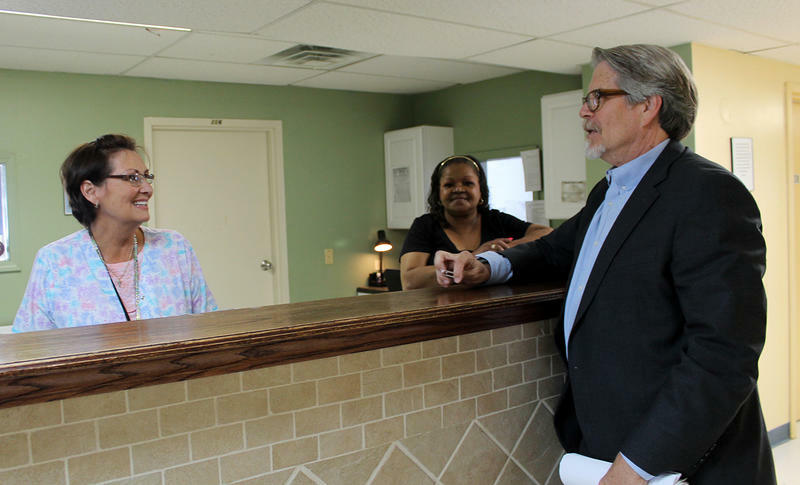 A main focus of the grant, announced Wednesday by Republican U.S. Sen. Roy Blunt, will be increasing the number of doctors and nurse practitioners licensed to prescribe buprenorphine, a medication that reduces opioid addiction cravings, according to project manager Rachel Winograd. Teens who struggle with drug and alcohol abuse face many temptations after complete treatment. A new private high school opening soon in suburban St. Louis will offer them an educational environment free of some of those potential triggers. Great Circle, a behavioral health provider that operates private schools in Missouri for children with learning or developmental challenges, plans to enroll up to 20 students at a so-called “recovery school” on its campus in Webster Groves.